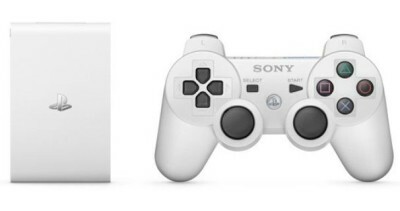 Sony computer entertainment Japan has announced a mini console the PS Vita TV. The device will makes your TV capable for playing Vita games. The Play Station TV comes with slots for both Vita-games and memory cards. It’ll support 1,300 games, but it will not work with all Vita games. Well its a new and cheap way of entering the world of Play Station. Its price is similar to Apple TV $100 ( Rs 6500 in India ) and $143 when bundled with DualShock 3 controller and 8GB memory card. It comes in white color, at 6.5cm by 10.5cm and weighs 110grams. It has WIFI, TV, LAN, USB 2.0, memory card, vita-card slot, memory card slot and HDMI connectivity. It has 1GB internal storage and gives 720p, 1080i, 480p Av output. The release date for PS-Vita TV is November 14. We hope the device will be soon available globally and India as well.